Caballo de Mar is glamourous campground for a romantic getaway or a fun camping holiday with friends and family. For a weekend or an extended camping holiday, this luxury camping destination offers large plots and modern accommodation that ensure you have a comfortable and remarkable stay. 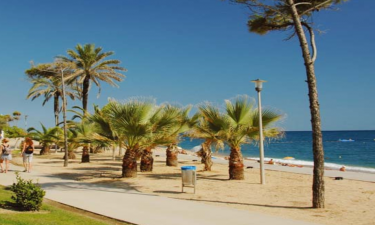 With LuxCamp, you can book an unforgettable stay at Camping Caballo de Mar. Situated between Barcelona and Girona, this full-service luxury camping site is strategically located to explore the scenic Costa Maresme and nearby destinations. 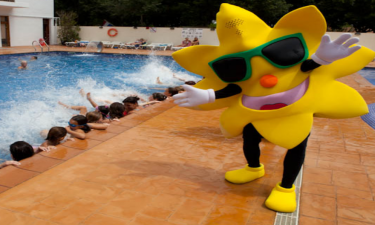 The campground is a 15-minute walk from the centre of Pineda de Mar and a short drive from two exciting water parks. Why Choose Camping Caballo de Mar? Whether you are staying in a tent or mobile home, this luxurious camping holiday destination provides a peaceful setting for your getaway. Exceptional facilities include a fully-stocked supermarket and bakery. A stylish restaurant and bar serves meals throughout the day. There is also a sports pitch for football and basketball as well as a playground and Wi-Fi access. When you are not enjoying the campground’s diverse activities and entertainment, you can unwind at the campground’s very own golden sand beach. Swim and enjoy other water sports off the coast of the Mediterranean Sea or simply relax on the shore. You will find a fine outdoor swimming pool with a Jacuzzi at this holiday camping site. There is a dedicated children’s pool with games and a waterslide. When not in the pool or soaking in the sun, you can enjoy a drink at an inviting bar next to the pool.